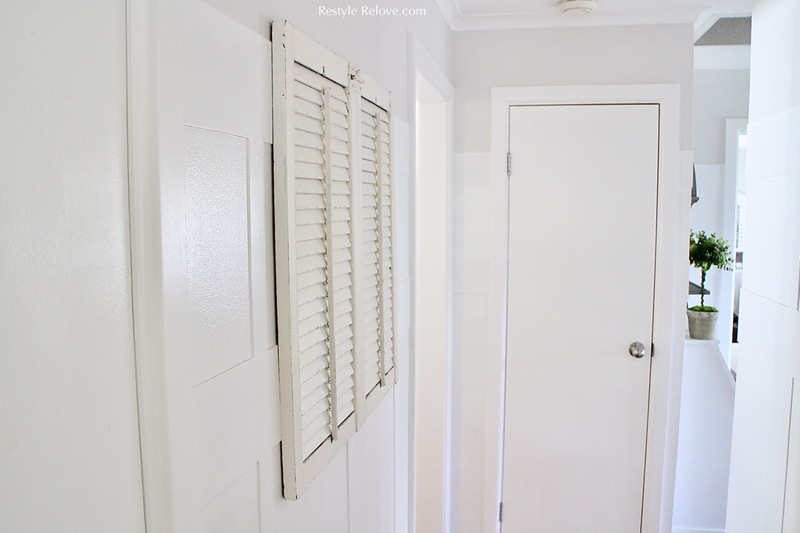 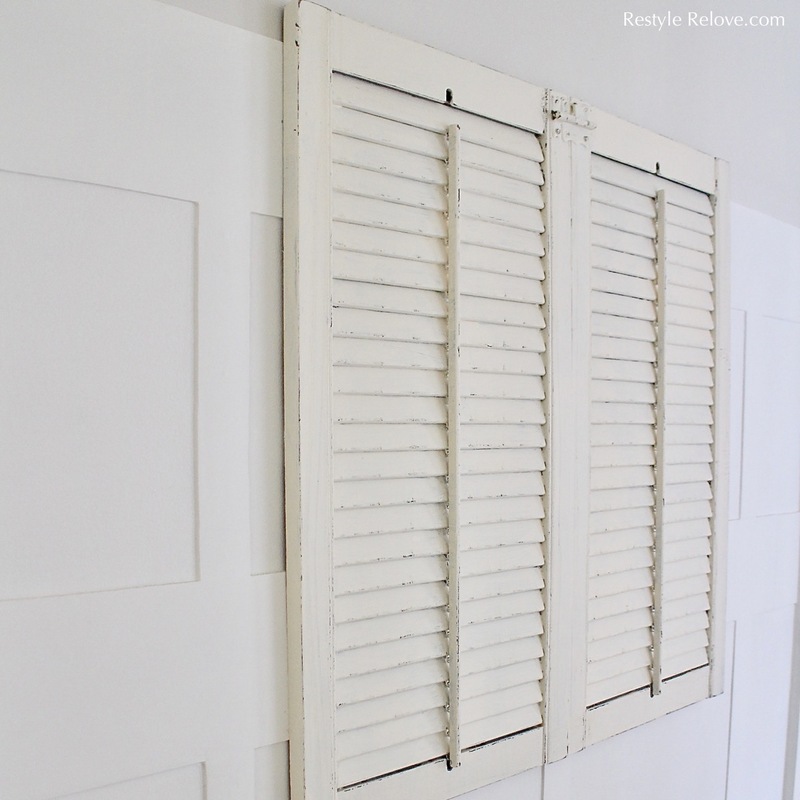 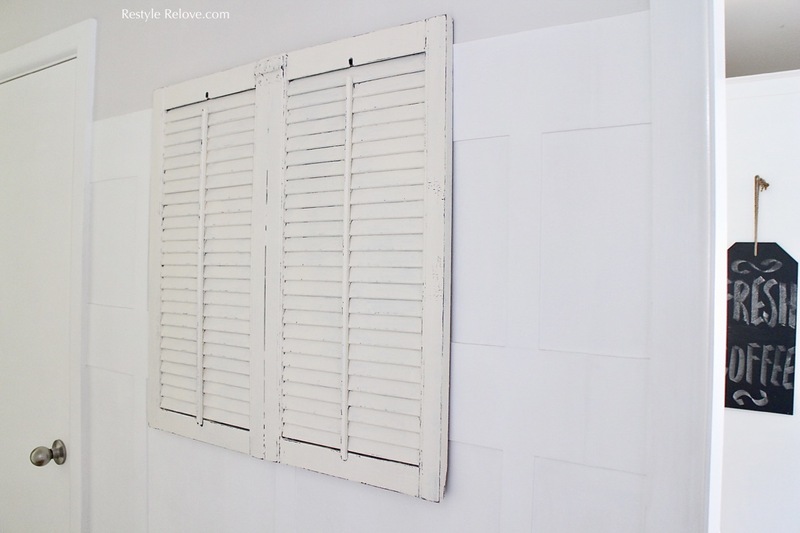 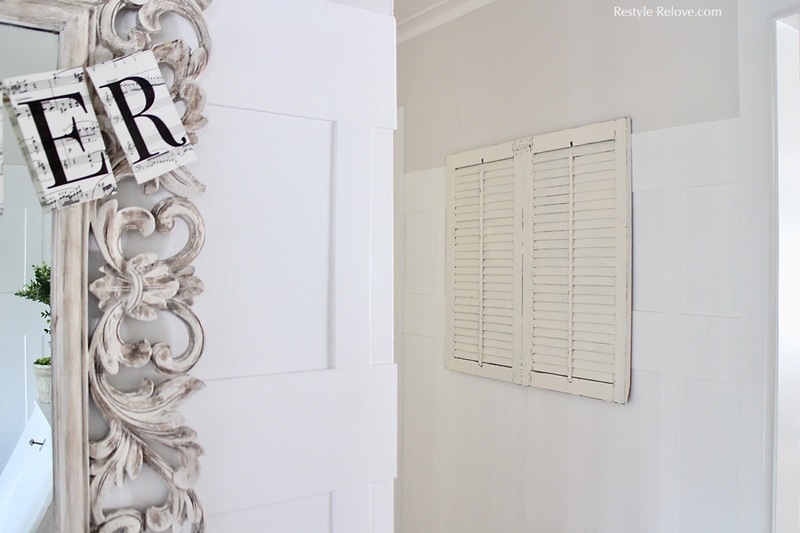 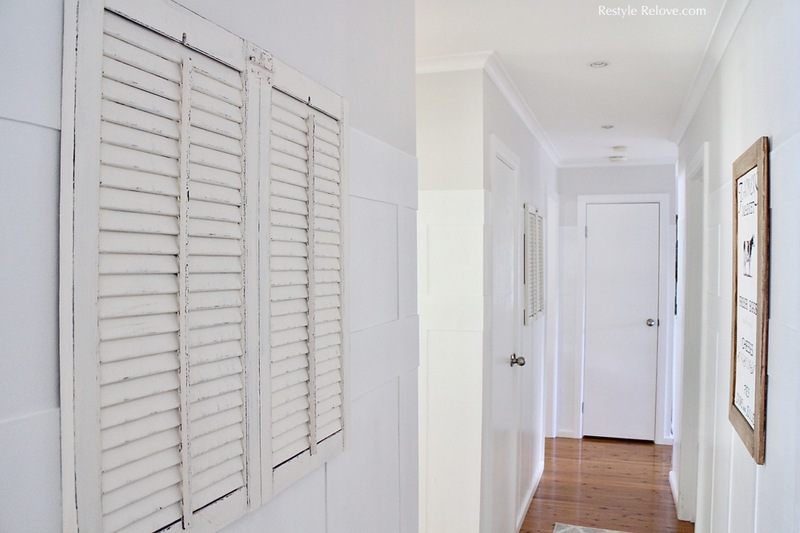 You may remember at Christmas I had painted my hallway shutters from white to black. 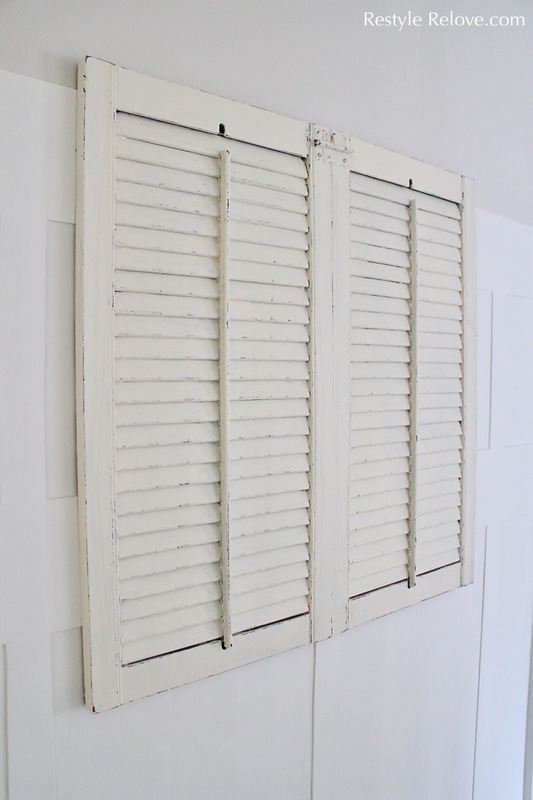 My shutters are now a lovely creamy shade of Dulux Hogs Bristle Quarter. 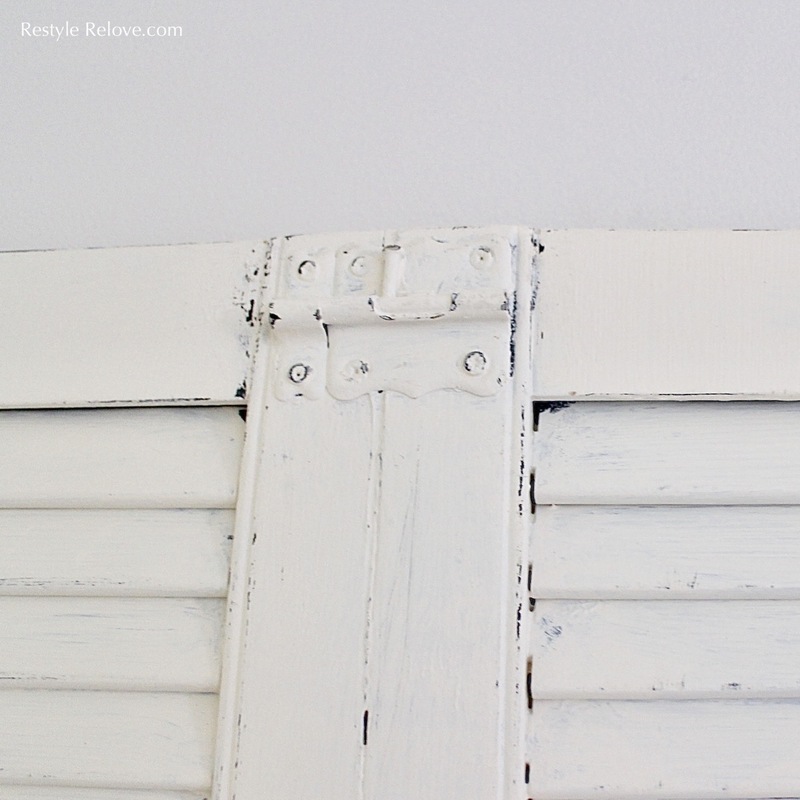 And have been lightly sanded around the edges to create an aged appearance. 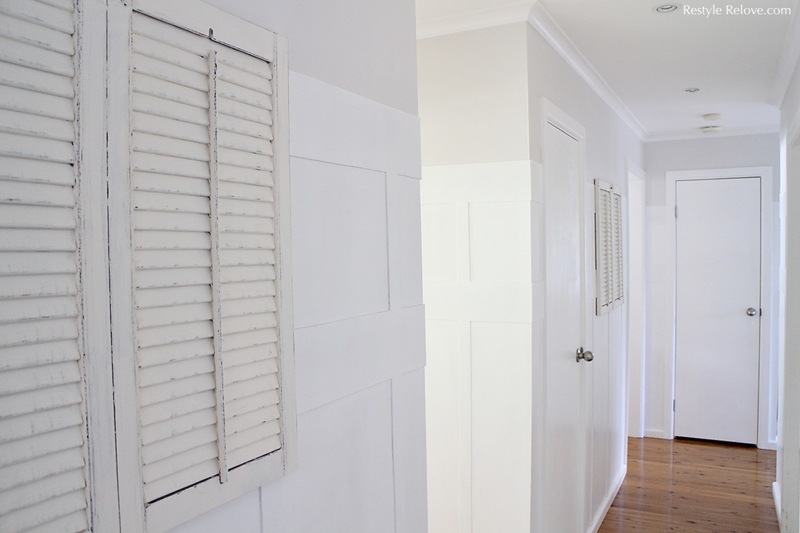 I love the contrast of the Vivid White wainscotting and the Dulux Limed White Quarter. 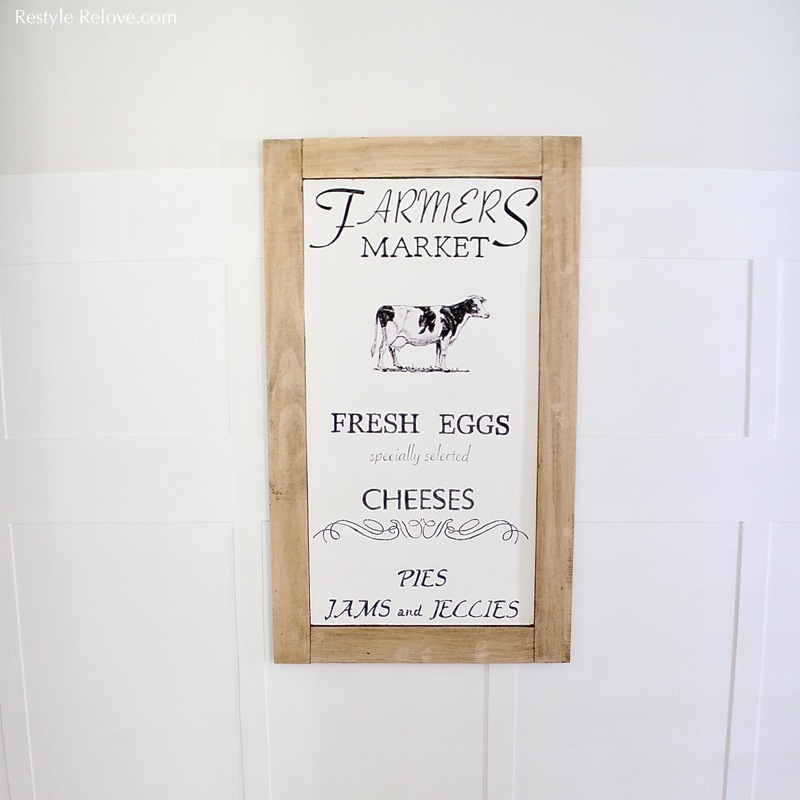 On the opposite wall I have my huge DIY Farmers Market sign. 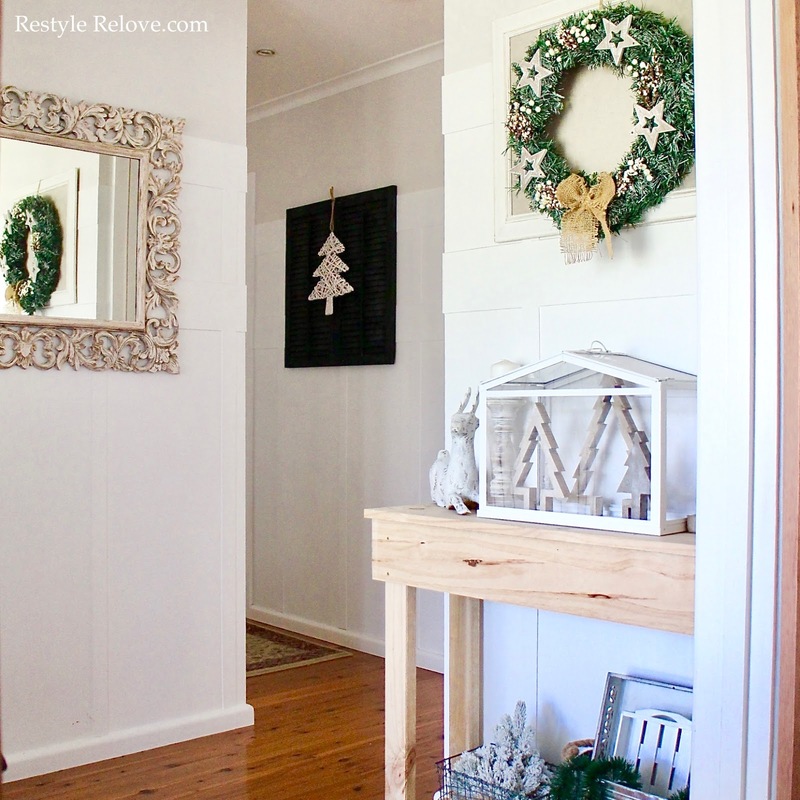 I've done so many small changes around the house and will be sharing them with you over the next few days.